If someone breaks their arm or twists an ankle, we generally know what to do – brace it and get help. But what if someone is hurting mentally instead of physically? A bandage won’t help, but a Mental Health First Aid class will. Two women sit in a classroom, role-playing what it would be like to be on a turbulent airplane when a person experiences a panic attack. “Ugh,” moans one woman as classmates rattle the furniture making noises. Etageak listens to the woman’s concerns and tries to reassure her. She suggests slow breathing and thinking of happy thoughts. Listening without judgment, giving reassurance, and encouraging self-help strategies — those are some of the main skills taught in Mental Health First Aid classes around the world. And they work. Even though it was just a role-playing exercise in a safe space, and even though Etageak has been around people who were having mental health crises before, she says it was scary. 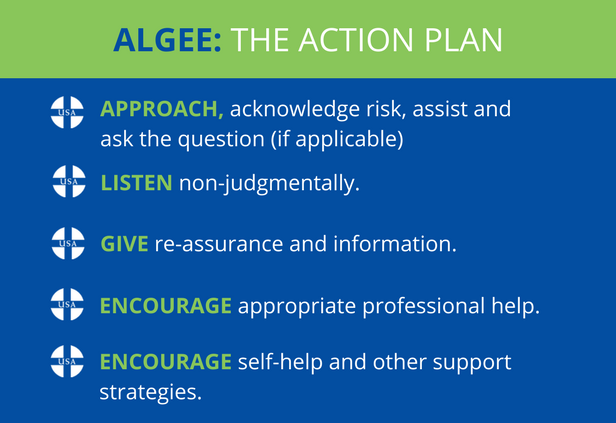 Part of the idea behind Mental Health First Aid is to train people to respond appropriately to help another person when situations are tense. The class helps people assist with short-term mental health crises – like a panic attack on a plane, or suicidal thoughts – and to broach longer-term issues, like depression or substance abuse. 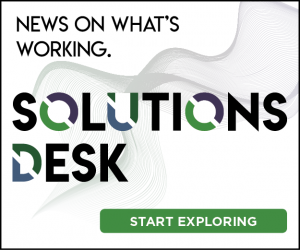 “The context (for using the skills) ranges from one’s own family to work situations to even strangers on the street,” says Jill Ramsey, the behavioral health training coordinator for University of Alaska Anchorage. She has been teaching the class for more than 6 years. 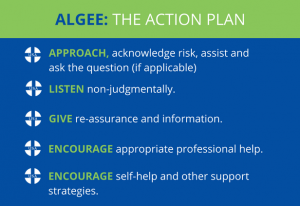 Just like CPR, Mental Health First Aid focuses on a series of steps. Assess the risks – is the person thinking of hurting themselves or others? Listen to the person and hear what their concerns are and give them reassurance if they need it. And then help them connect with resources. She says the class teaches necessary skills for a first response, not a long-term intervention. The 8-hour-long course was developed in Australia in 2001 and is now taught around the world, including Pakistan, Denmark, and Saudi Arabia. It teaches the signs and symptoms associated with major illnesses like depression, anxiety, and substance abuse as well as the appropriate way to respond. Research shows participants develop, maintain and use their new knowledge over time. The program also reduces the stigma around mental illness. About one in five people in the United States has a mental illness. Ramsey says awareness of the illnesses and their prevalence changes how people interact and respond. There aren’t any studies with people who have received mental health first aid – it’s hard to track those folks down. But anecdotally, the methods are effective. Ruth Adolf is an officer with the Anchorage Police Department and helps teach the course to other officers and to the general public. She says people who interact with officers who have mental health first aid training are calmer and more responsive because the officers listen with a greater awareness. The class is now part of the police training academy in Anchorage. It’s also taught to health care professionals and the general public. A youth-specific version is available, too.